Also known as Sansad Bhawan is located at the end of the Parliament Street. It is an imposing circular colonnaded building where the representatives of Indian democracy meet. This is the office of world’s largest democracy where the future course of India is discussed and debated. This colonnaded building was designed for the Chamber of Princes, the Council of State and the Legislative Assembly. 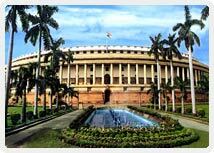 Today it is the chambers of the Lok Sabha (House of the People), Rajya Sabha (Upper House) and the Library. The grandiose architecture of this building was designed by the two famous architects Sir Edwin Lutyens and Sir Herbert Baker. The Foundation Stone of Parliament House was laid by H.R.H. the Duke of Connaught on the 12th February, 1921. The construction of the building took six years and on the 18th January 1927 this building was inaugurated by the then Governor-General of India, Lord Irwin. It was originally planned as an extension of the Viceroy’s House (Rashtrapati Bhavan) but after the Montague-Chelmsford reforms of 1919, it was designated as a Parliament House or Legislative Assembly of the country. This building is the icon of Indian democracy crowned with a 29.9 meter high dome over which the Indian flag showcasing the saga of India’s unity in diversity. 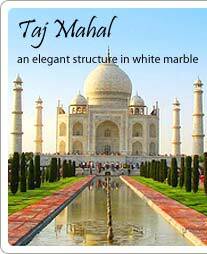 The magnificent building has a diameter of 170.69 meters and sprawled over an area of 2.02 hectares. The colonnaded verandas lined with 144 identical columns each 8.23 meter high enclosing the entire buildings. The entire Parliament House is enclosed by an ornamental red sandstone wall or iron grills. This building is the best example of classical Indian art mingled with modern scientific achievements, which can see through its design, decorations and layouts. Some of the popular attractions of this place are gardens, paved out lanes, ornate buildings and array of magnificent sculptured statues.